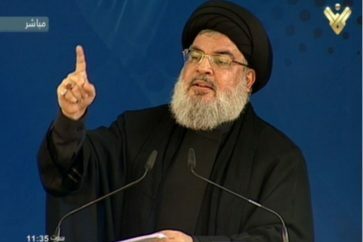 Hezbollah Secretary General Sayyed Hasan Nasrallah delivered a speech on Friday during a ceremony held after three days of Um Imad’s – mother of martyred resistance leader Hajj Imad moughnieh – departure. Um Imad (Hajje Amena Salameh) passed away on Monday at the age of 80 after having spent a life of sacrifice and patience for the sake of Islam and Freedom. 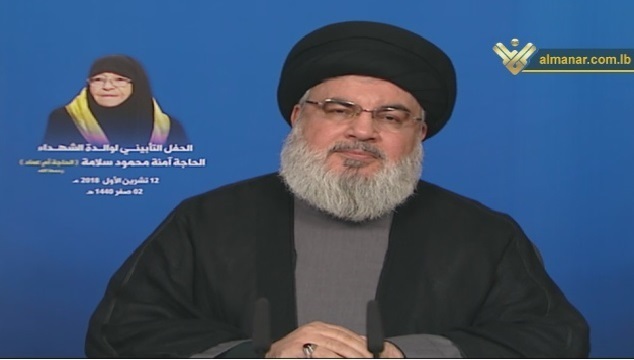 Sayyed Nasrallah stressed on the significant and active role that Um Imad played in the path of resistance and Islam since she was a young girl indicating that “As Imam Khomeini said ‘The role of the women is similar to that of the Quran, they are both entitled to build the human being’ and Um Imad as a mother played her role perfectly”. 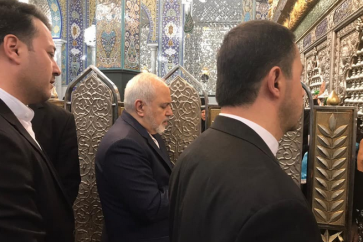 “Um Imad offered us the great leader Hajj Imad Moughnieh, not just by bringing him to life but by raising him to become who he is,” his eminence added. 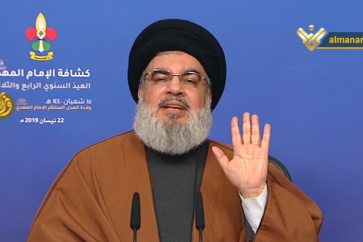 “Beside her role as a mother, she was an essential part in the establishment of several NGOs since the beginning of the resistance… her house was more like a house for Hezbollah, specifically after the martyrdom of Hajj Imad and while the resistance was passing through a sensitive period,” Sayyed Nasrallah noted. In this context, his eminence stressed the special respect, admiration, and care that Hajj Imad had for his mother. 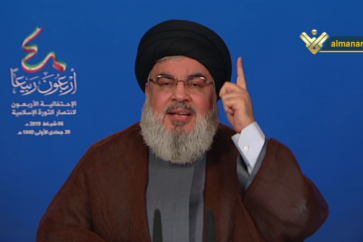 On another hand, Sayyed Nasrallah commented on the speech US President Donald Trump delivered a couple of days ago in which he highlighted the US protection to the wealthy Arab states from “Iran which could take over the Gulf in only 12 minutes”, according to Trump. 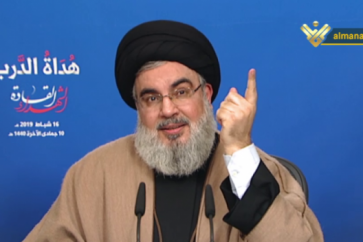 Sayyed Nasrallah pointed out that under this pretext, Trump has convinced the Middle Eastern states to pay him large amounts of money in order to preserve their regimes. 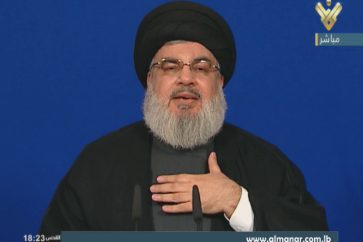 “Let’s invest all this money in studies for the sake of improving and developing our Arab world…” Sayyed Nasrallah concluded. 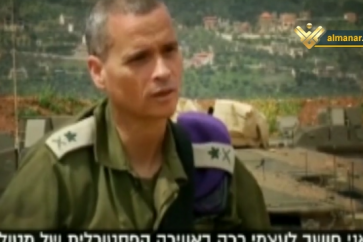 Concerning Israeli claims about Hezbollah transferring rockets and what he considered “Netanyahu’s psychological war”, his eminence reassured that Hezbollah’s policy on its weapons is silence no matter what Israeli officials claim. 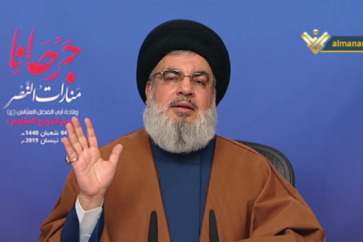 He assured that Hezbollah will never respond to that and fall in the Israeli trap, stating that “denying Israeli claims would be a free favor offered to Israel”.